This is not a trade in. It is a brand new factory demo with FULL warranty. Our 35-foot cruiser offers everything you need to travel elegantly from day to night and from shore to shore — while entertaining with ease. Enjoy the protection of an enclosed, lighted hardtop cabana and the comfort of a temperature-controlled cabin. This Vista has been discounted drastically. A factory demo, used for producing pictures for 2018 brochure. Why buy Used when you can buy New with Full Warranty. Open Monday through Saturday. Closed Sundays. Our 35-foot cruiser offers everything you need to travel elegantly from day to night and from shore to shore — while entertaining with ease. Enjoy the protection of an enclosed, lighted hardtop cabana and the comfort of a temperature-controlled cabin. The Joystick for Volvo Penta IPS installations with electronic steering offers a solid and ergonomic design for comfortable operation. The Electronic Vessel Control system provides precision maneuverability by transforming the driver’s joystick movements into steering angles, gear shifts and throttle positions. The buttons on the joystick put a unique combination of functions within easy reach; Joystick Driving, Joystick Docking, and High Mode, to offer easier handling, high comfort, better drivability and enhanced safety. 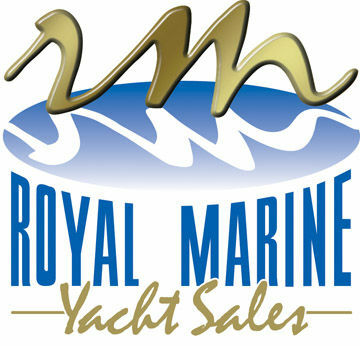 Другие яхты Royal Marine Yacht Sales, Inc.
Посмотреть все яхты Royal Marine Yacht Sales, Inc.
50 NE Tomahawk Island Dr.